There are many business owners nowadays and they keep increasing in number. Each and every one of them wants the same thing; success. They may have learned about business, they may have attended business school – even some of them may have gone to the same school, but somehow their business’ progress may not turn out to be the same. Some fail, some grow. That being said, it is only natural for a business to be in an up-and-down situation. However, if you are a business owner, would you let your business keep going down? Well, we are living in a world where everything changes for better or worse. There will always be cool new things in the future that will support what have been made in the past or the present. In the business world, there are many components that can support the progress of a business. One of them is Search Engine Optimisation, or better known as SEO. SEO is a business ‘instrument’ that can help people find your business by increasing or boosting your online visibility through your website. Many business owners hire SEO companies to do SEO services for them so that their business can grow. 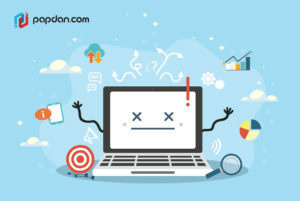 However, many of them too, may have chosen the wrong people to do that, which led to SEO’s dumb mistakes that resulted in unwanted situation in their business. 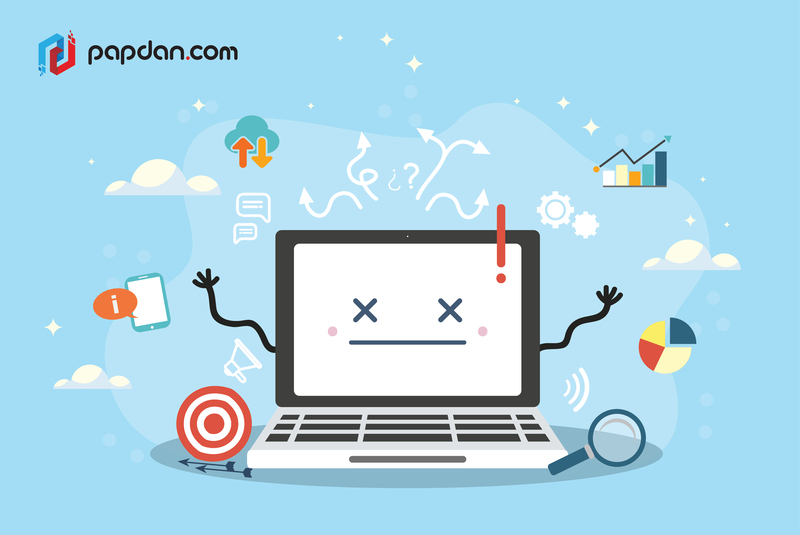 Identify what kind of SEO mistakes that can lead to failures, only in this article. Keep reading to find out! Back then, using keyword stuffing as much as possible could really get you ranked high on search engines. However, having too many keywords being placed all over the content or articles can make your content or article lose its meaning and values, especially in the eyes of your readers or visitors. That being said, Google’s algorithm update called Panda has put an end to this in 2011. Since then, many SEO marketers in their right mind have stopped doing this mistake, and if there are some who is still doing this bad practice, you know what kind of SEO marketers they are. Have you ever clicked a link to a website to see their content, only to be interrupted by a super annoying pop-up that was really disturbing you, especially if you wanted to know the information in the content? Yes, anyone who’s got pop-ups on their website will likely get their visitors annoyed by the sudden interruption covering the content they want to see. Yes, links are important. However, it’s not just any link. No matter how many backlinks you’ve got, if the majority of those links came from irrelevant sites, it would not give any values for your website. In fact, Google would find your website not credible and not deserving high rank in the future. Therefore, if you are doing any blog commenting, or writing articles, make sure you are doing that in relevant places and talking about relevant topics as well, so that you can get relevant backlinks. Those mistakes mentioned above are not the only ones many SEO marketers have done. It may come off as trivial, but if you keep doing those mistakes, it would result in damage on your reputation in the long run. Keep in mind that when you are doing SEO, you should be patient and serious as well as focused, because it may take time for you to see results. This entry was posted in Article and tagged agency, business, content, design, designer, developer, development, ecommerce, google, marketing, Melbourne web designer, mobile, online, search engine, search engine optimisation, search engine optimization, SEO, SEO agency, seo services, services, social media, web design, web designer, web developer, web developer agency, web development, website, website designer, website development on July 30, 2018 by Mario.